Reference points in the sparsely populated realm of experimental composition are even more urgently required than in popular music, as each new composer strikes out into waters vast and uncharted. With that in mind, it’s not surprising to hear elements of the genre’s most revered composers in Halv, the latest album from Sweden’s Erik Levander. There’s a bit of Tim Hecker in the choral arrangement of “Vara för andra,” some Fennesz in the guitar work on “40mg,” and healthy doses of Ben Frost sprinkled throughout. 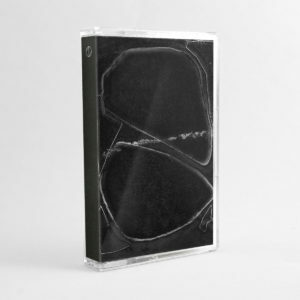 But the selling point for Halv, what sets it apart from the larger realm of dark ambient/experimental electronica, is the brilliant manner in which Levander facilitates a dialogue between those experimental traditions and popular music at large. Most often, Levander accomplishes this by re-situating familiar pop structures in a world of glitch and distortion. The opening track “Innesluten,” for example, shrouds a Mogwai-esque guitar riff in shrieking, crunchy distortion; the rock structure is inescapably present, albeit in an entirely new context. “Autopilot” initially seems made for the dance floor, but an ever-growing sea of fuzz and chaos threatens to shut down the club. “Ballast” opens softly, recalling a dystopian movie soundtrack until the introduction of a glitched-out drum track shatters the illusion, taking the track in an entirely new direction. It’s a jarring and unsettling formula to be sure, but one worthy of your full attention.